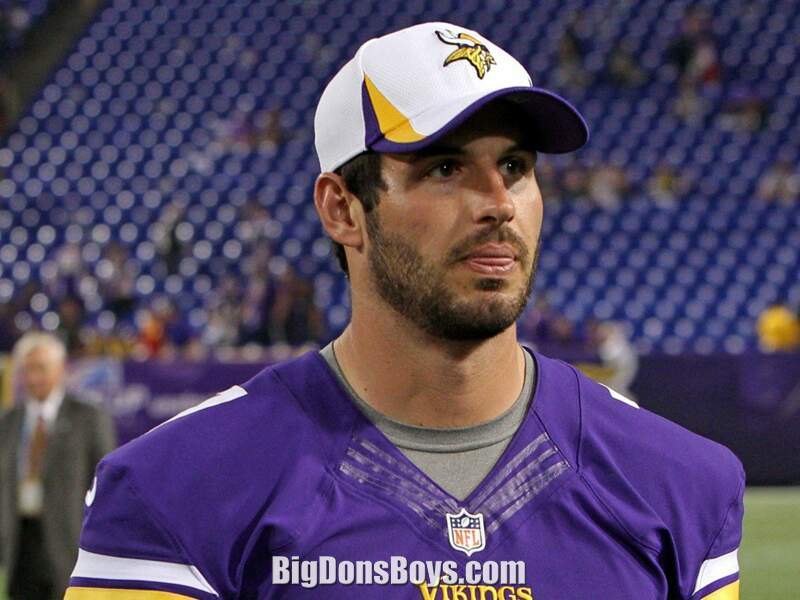 This gallery features some small sized 6'2" football players before eventually settling into more proper sized 6'3" athletes, mostly quarterbacks..
6'2" Christian Ponder (born 1988), is an American football quarterback for the Minnesota Vikings. There are more photos of him in the previous gallery. 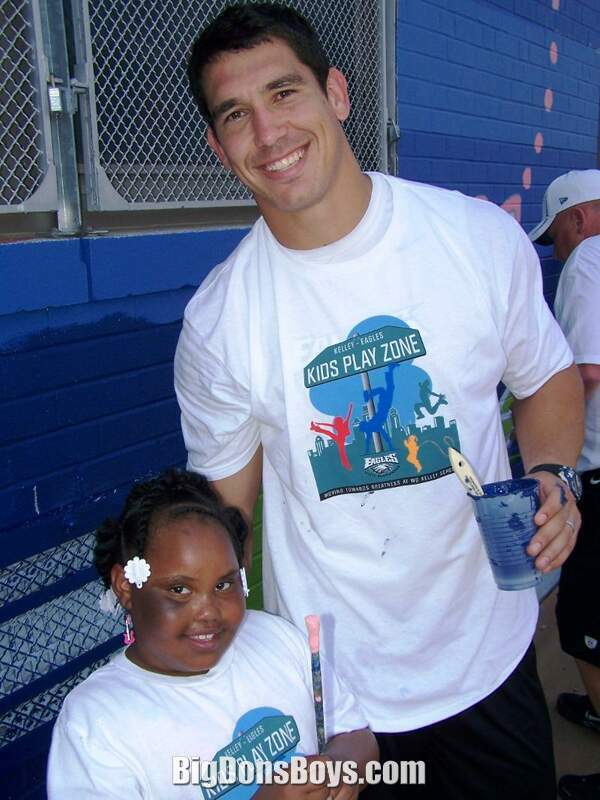 He was drafted by the Vikings with the twelfth overall pick in the 2011 NFL Draft, and signed with them on July 31, 2011, shortly after the 2011 NFL lockout ended. He played college football as the starting quarterback for the Florida State Seminoles at Florida State University. 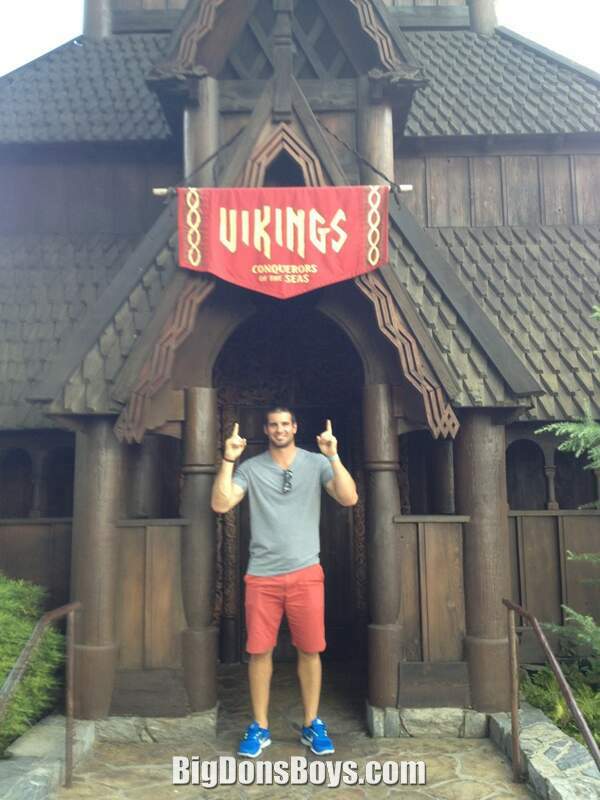 Ponder was born in Dallas, Texas and grew up in Grapevine, Texas. 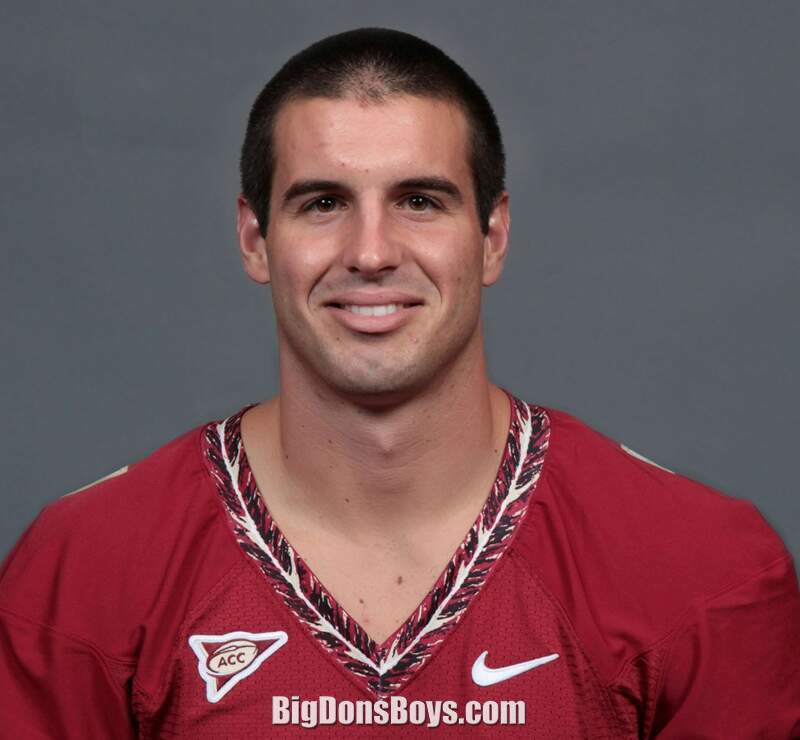 His father, David Ponder, played college football for Florida State as a defensive lineman from 1980 to 1983, and thus Christian Ponder is one of several father-son duos who have both played for Bobby Bowden, who coached the Seminoles until the end of the 2009 season. 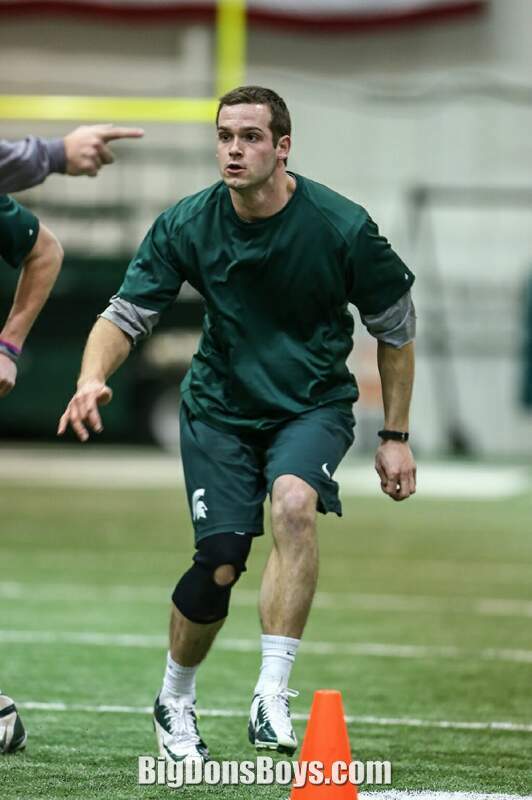 He earned his BA in finance in only 2 1/2 years and went on to earn his MBA, playing his final season of football with two college degrees in hand. 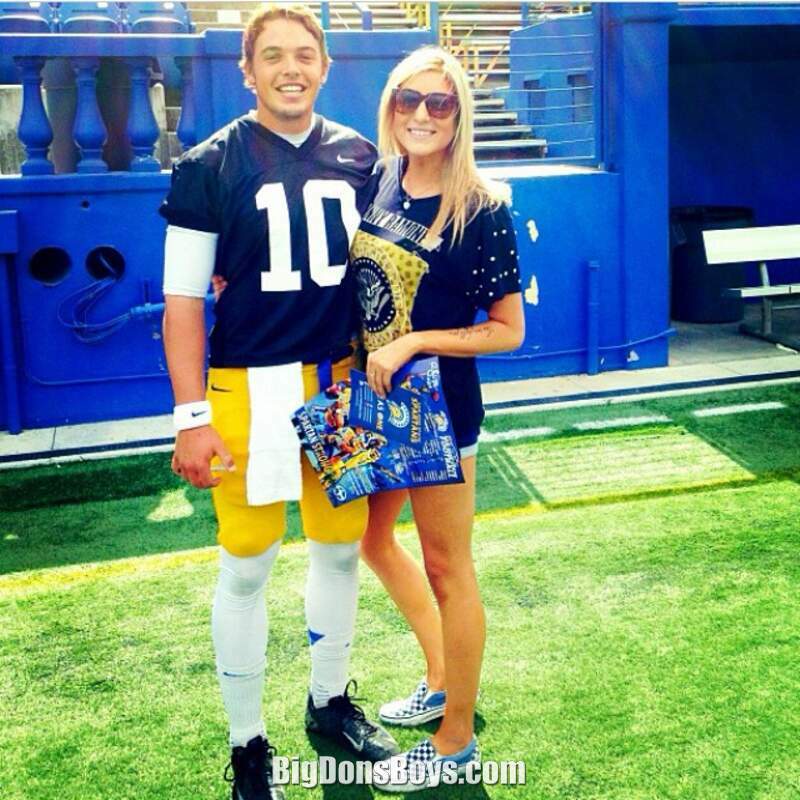 Ponder married ESPN reporter Samantha Steele on December 17, 2012. Their first child, a daughter named Bowden Saint-Claire Ponder was born July 22, 2014. Bowden Ponder was named after Christian's college football coach at Florida State, Bobby Bowden. 6'2" James Franklin (born 1991) is an American football quarterback. 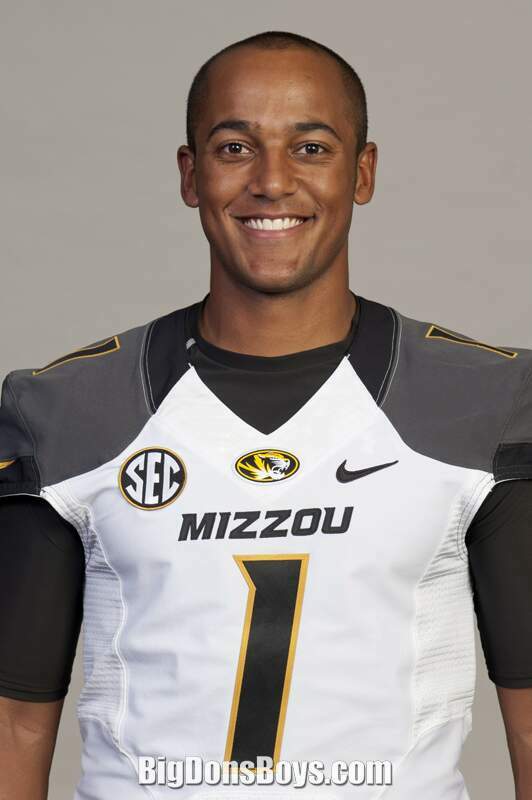 He played college football at Missouri. 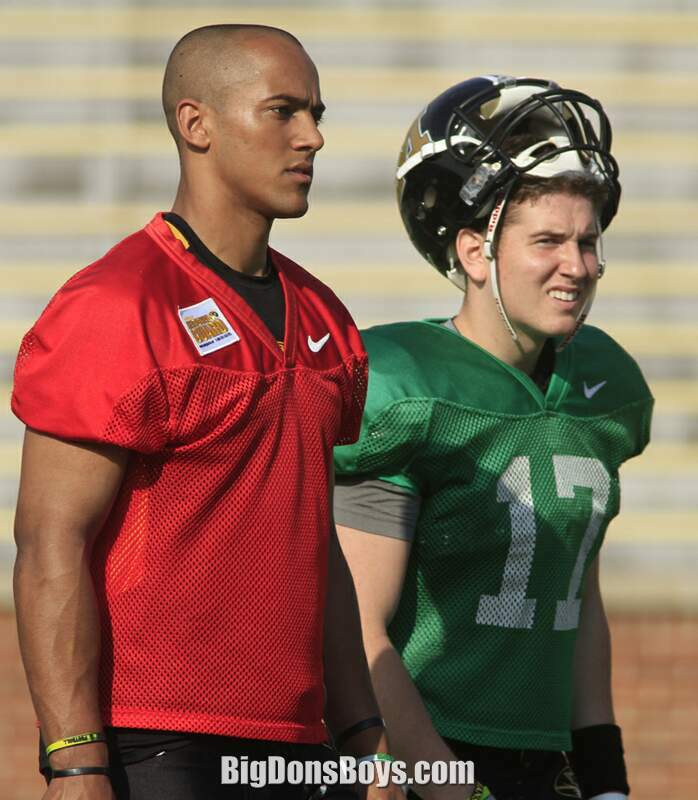 He was the Tigers starting quarterback from 2011 to 2013. Franklin attended Lake Dallas High School in Lake Dallas, Texas. He was rated the #4 Dual-Threat Quarterback in the country by Rivals.com. 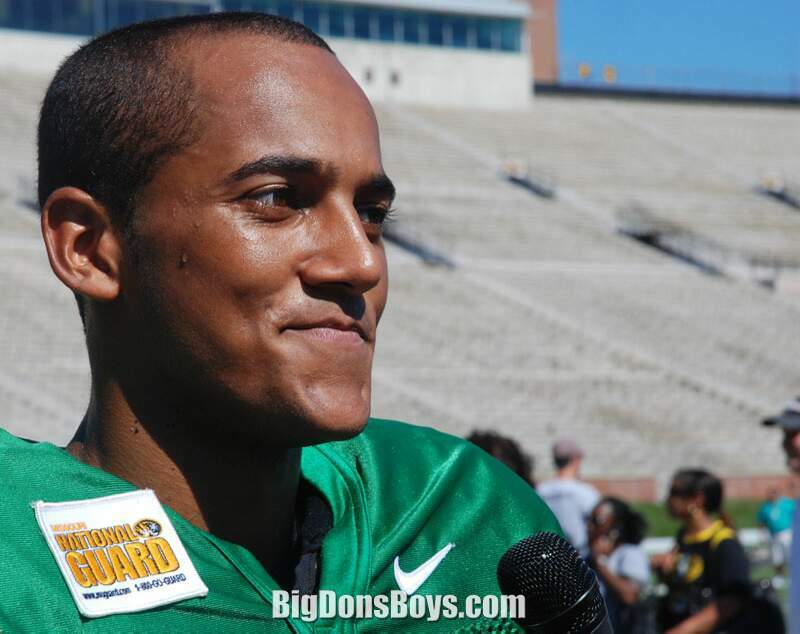 As a freshman in 2010, Franklin was the backup to Blaine abbert. He played in 10 games, completing 11 of 14 passes for 106 yards with a touchdown and an interception. He also ran for 116 yards on 23 carries with two touchdowns. He became the starter in 2011 after Gabbert entered the 2011 NFL Draft. 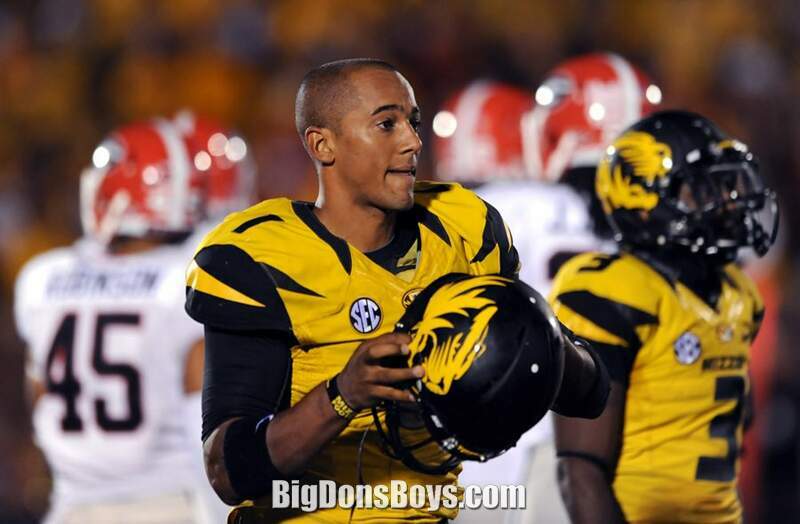 As a sophomore in 2011, Franklin started all 13 games for Missouri, leading them to an 8-5 record. 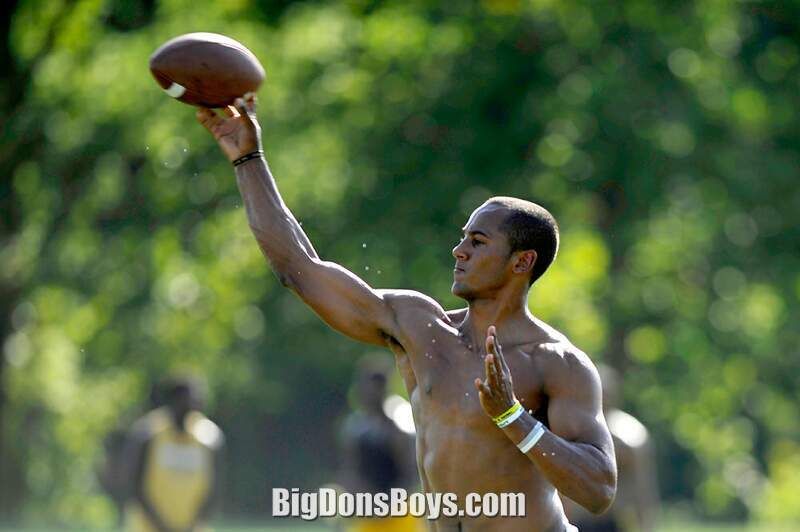 He completed 63.3% of his passes for 2865 yards, 21 touchdowns, and 11 interceptions. He also rushed 217 times for 981 yards and 15 touchdowns. Franklin led Missouri to a number of comeback victories, erasing a 14-point deficit against the Texas A&M Aggies and the Texas Tech Red Raiders, and a 10-point deficit against the Kansas Jayhawks. 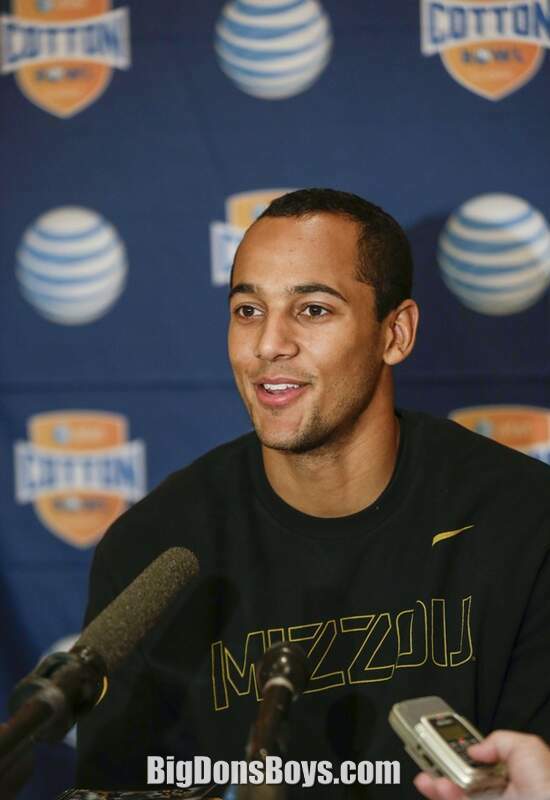 Franklin also led Missouri to its first win over the Texas Longhorns since 1997. Franklin was named MVP of the Independence Bowl after leading Missouri to a 41-24 victory over the North Carolina Tar Heels, accounting for 274 total yards of offense and 3 touchdowns. 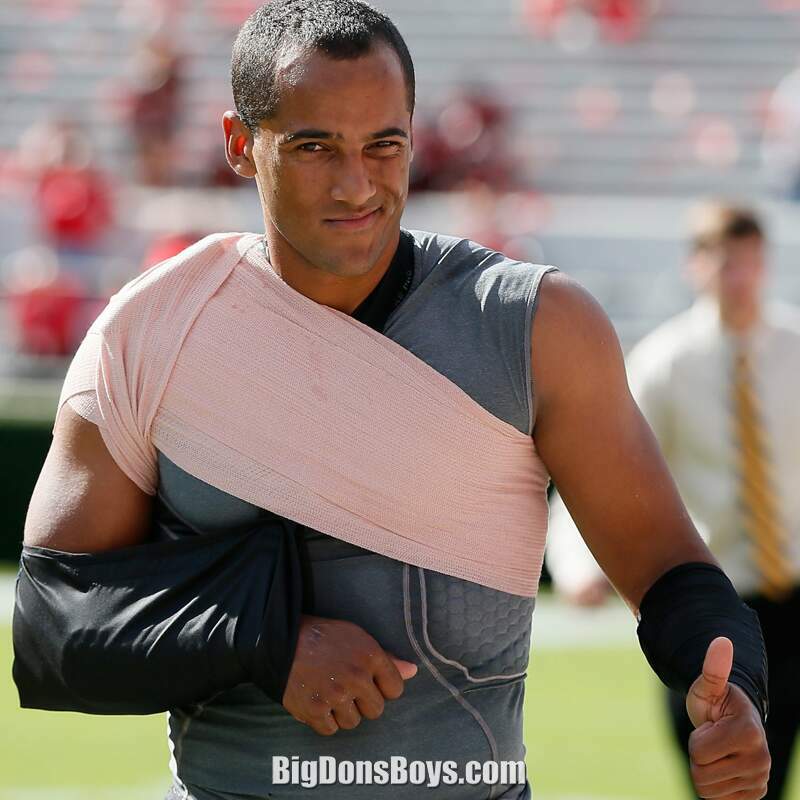 On March 19, 2012, it was announced that Franklin would have surgery on his throwing shoulder but he was expected to recover in time for the start of the regular season. He returned for the start of the season, but battled injuries throughout the season, appearing in only nine games. 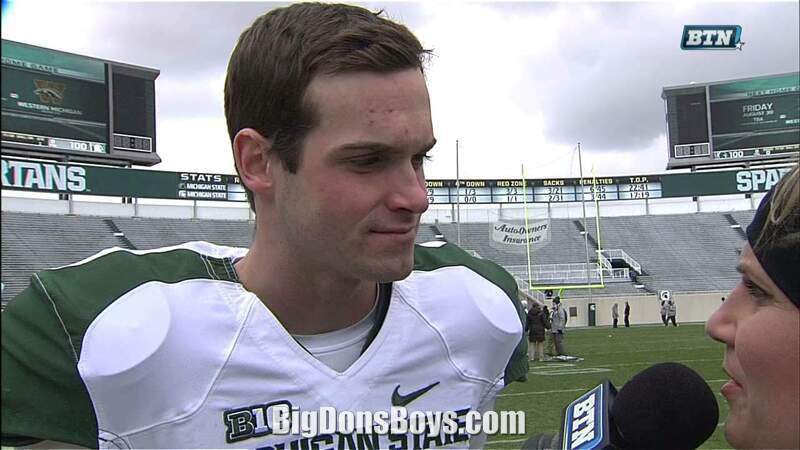 He finished the season with 1,562 passing yards, 10 touchdowns and seven interceptions. As a senior in 2013, Franklin appeared in 10 games, missing four due to injury. He finished the season with 2,429 passing yards, 19 touchdowns and 6 interceptions. 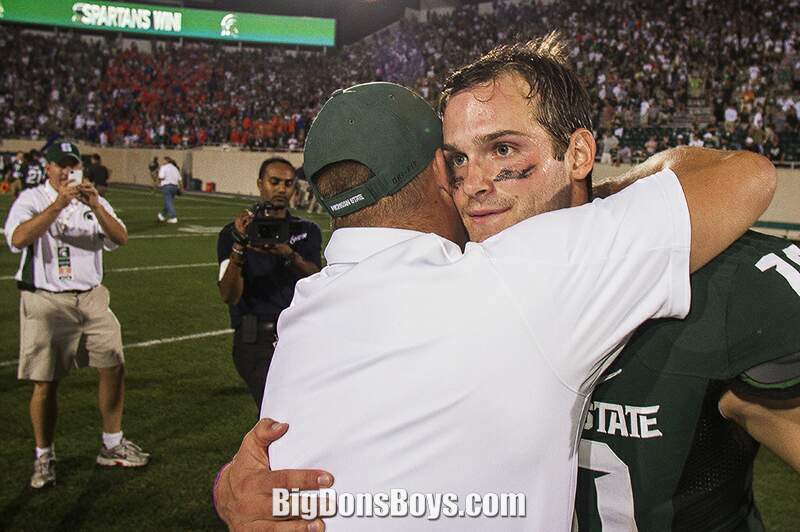 In his final college game, he helped lead the Tigers to a victory in the 2014 Cotton Bowl. Franklin went undrafted in the 2014 NFL Draft, but on May 10, 2014, the Detroit Lions signed Franklin to a rookie free-agent deal. 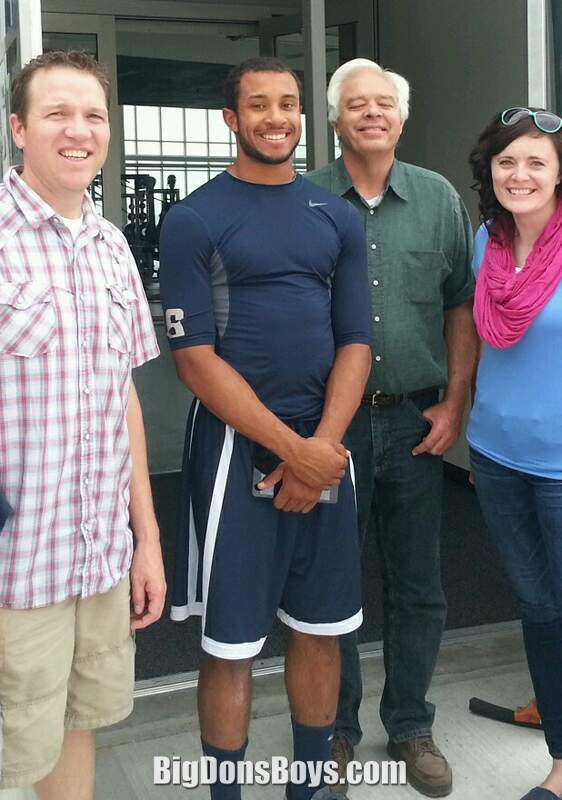 On August 25, 2014, he was released. 6'2" 200 lb. 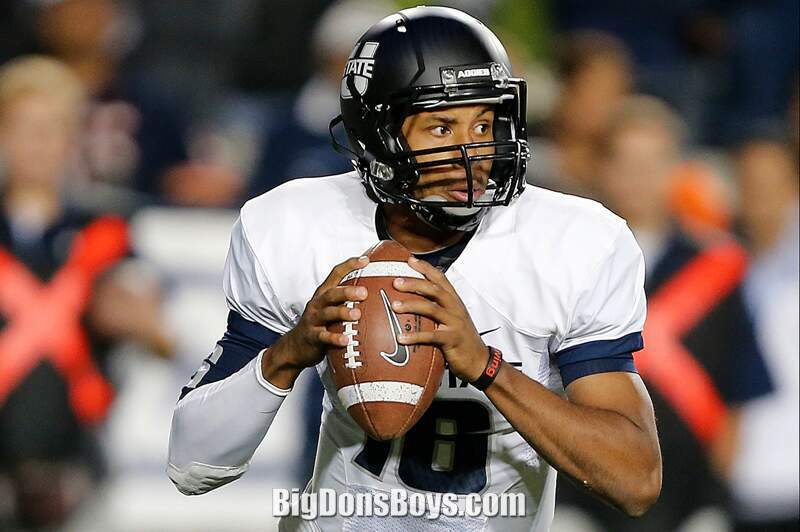 Chuckie Keeton (born1993) has a nickname that makes him sound so cute until he tackles you. 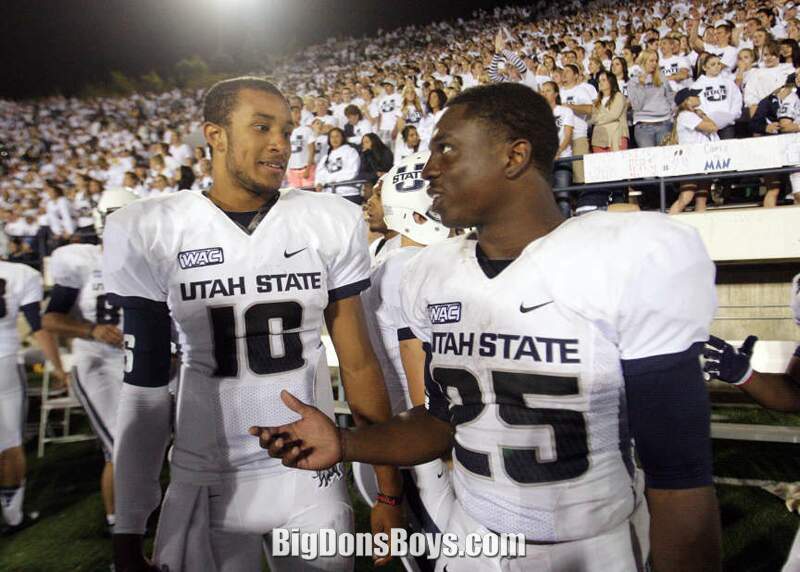 Chuckie is an Black American football quarterback for the Utah State Aggies. That means he has to tolerate lily White, mixed-up Mormons on a regular basis. 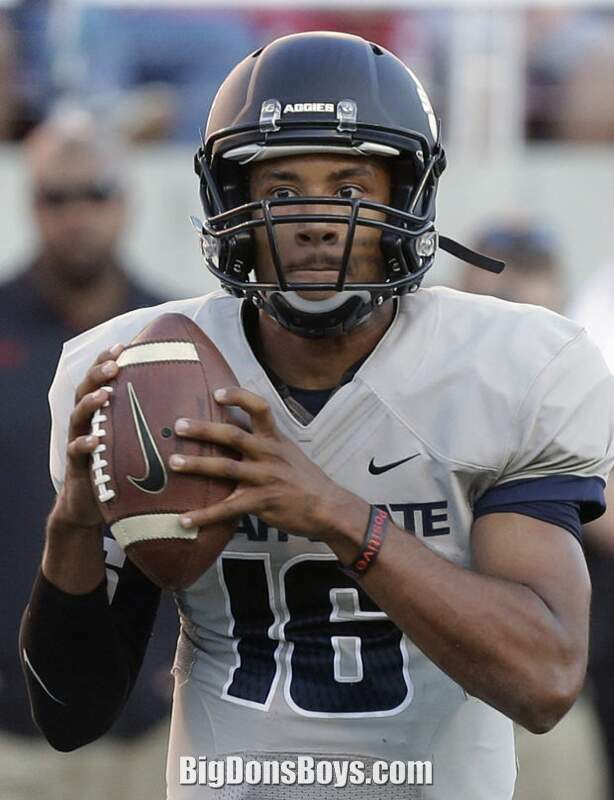 As a true freshman in 2011, Keeton started eight of nine games, completing 106 of 174 passes for 1,200 yards with 11 touchdowns and two interceptions. In 2012 he started all 13 games, completing 275 of 407 passes for 3,373 yards 27 touchdowns and nine interceptions. He was a first team All-WAC selection. His once promising collegiate career has been plagued by injuries, a very typical problem in American football. Andrew Maxwell (born 1991) is an American football quarterback. 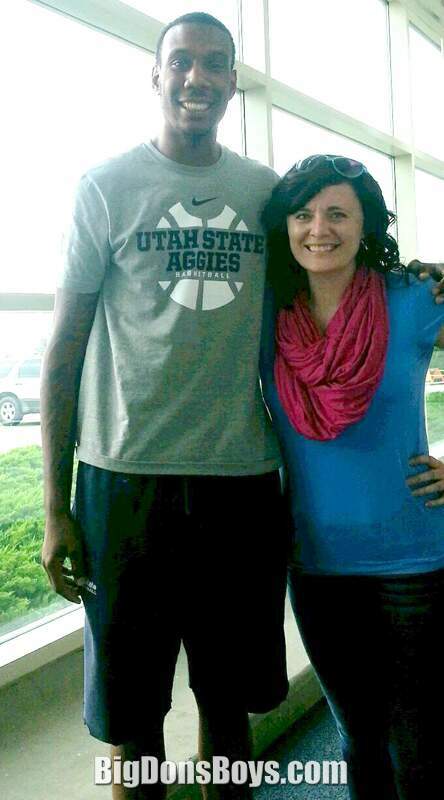 At 6'3" he is the first of the legit tall guys on this page. That means he is as tall as me or taller. 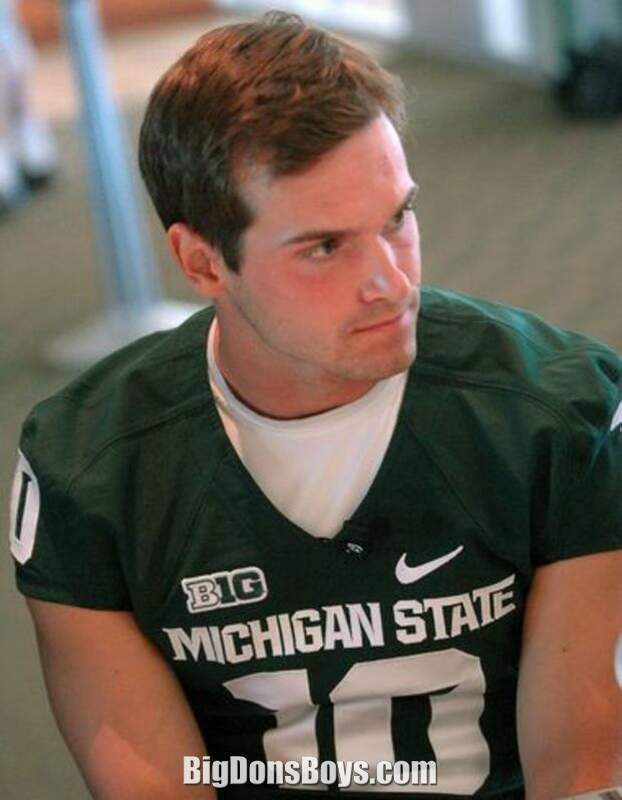 He played college football at Michigan State. 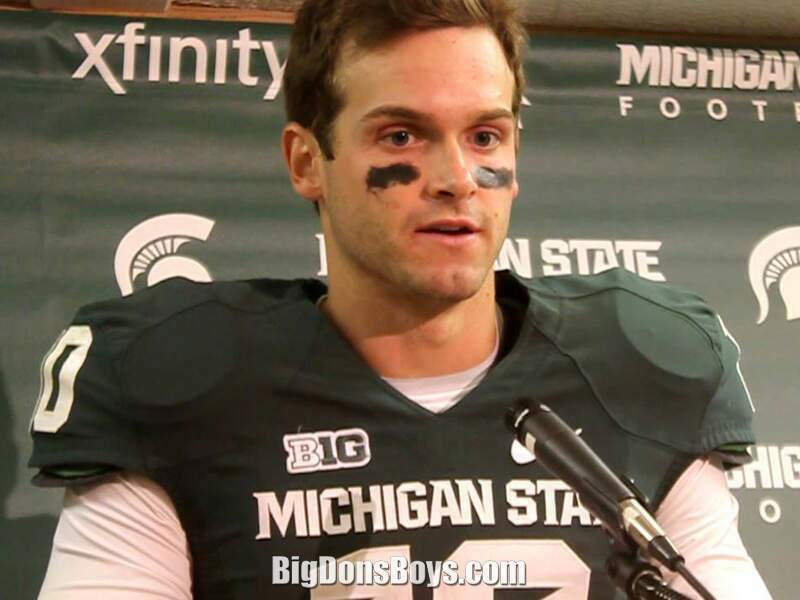 He was the Spartans starting quarterback in 2012. After being undrafted he was invited to try out for the San Diego Chargers. Maxwell attended Midland High School in Midland, Michigan. He was also a letterman in track and field and basketball. 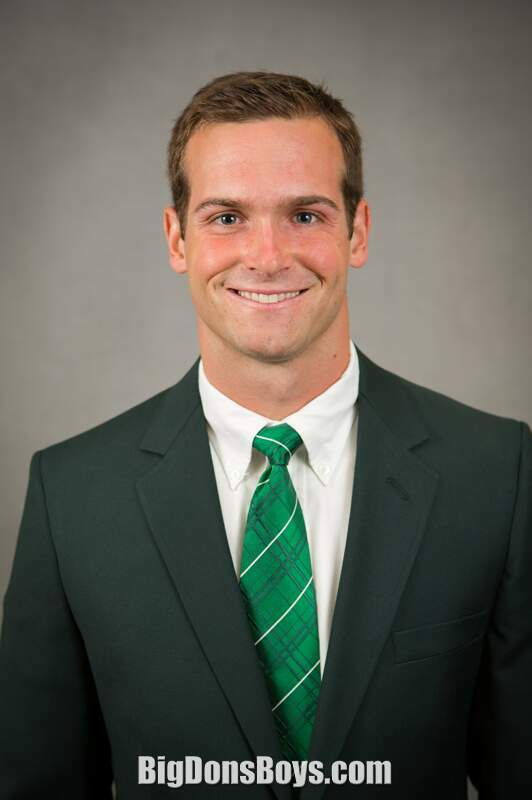 Maxwell started for Midland at quarterback as a freshman and sophomore. As a junior, Maxwell lead the Chemics to the Division 2 state championship game, where they lost to Martin Luther King High School. He finished the season with 2,024 yards for 18 touchdowns. Maxwell was invited to attend the ESPN RISE Elite 11 Quarterback Camp. 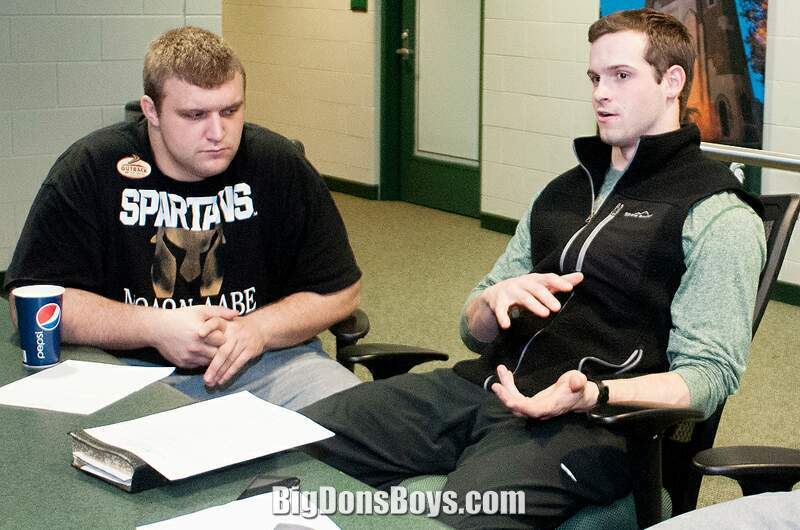 Maxwell committed to Michigan State on March 2, 2010. In 2009, Maxwell was redshirted. 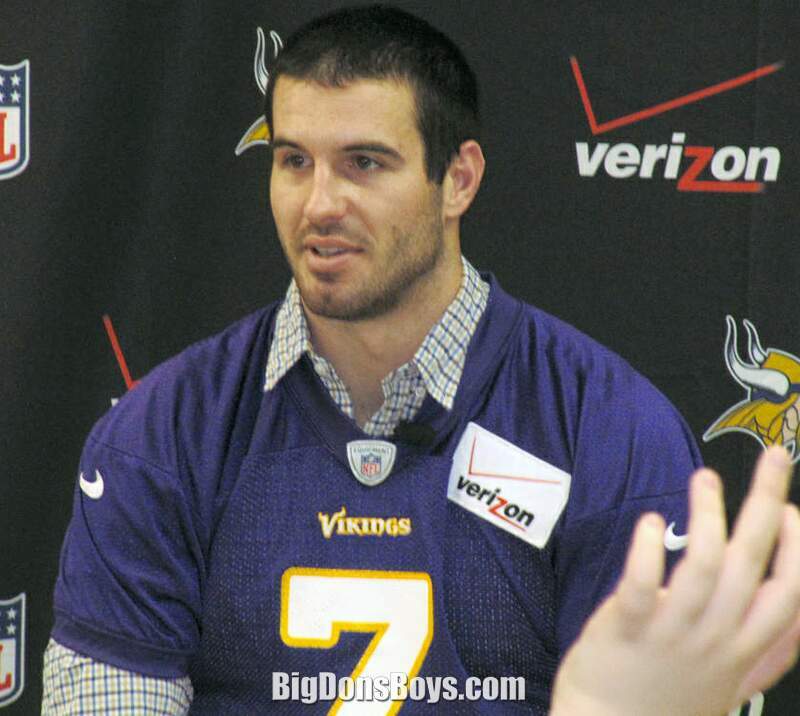 In 2010 and 2011, Maxwell was the backup to Kirk Cousins. Braylon Jamel Edwards (born February 21, 1983) is a former American football wide receiver in the National Football League. 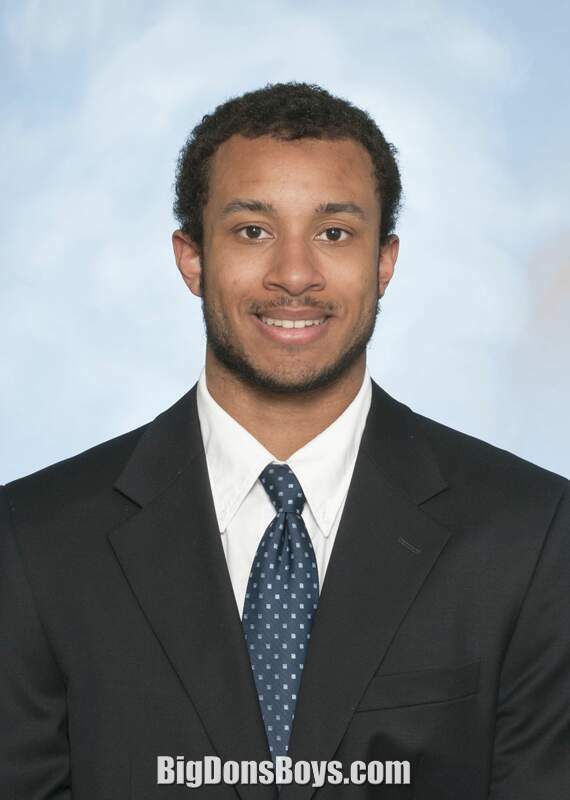 He played college football for the University of Michigan, earned unanimous All-American honors, and was recognized as the top college wide receiver. He was also the first receiver in Big Ten Conference history to record three consecutive 1,000-yard seasons and only the third to do so in NCAA Division I-A. 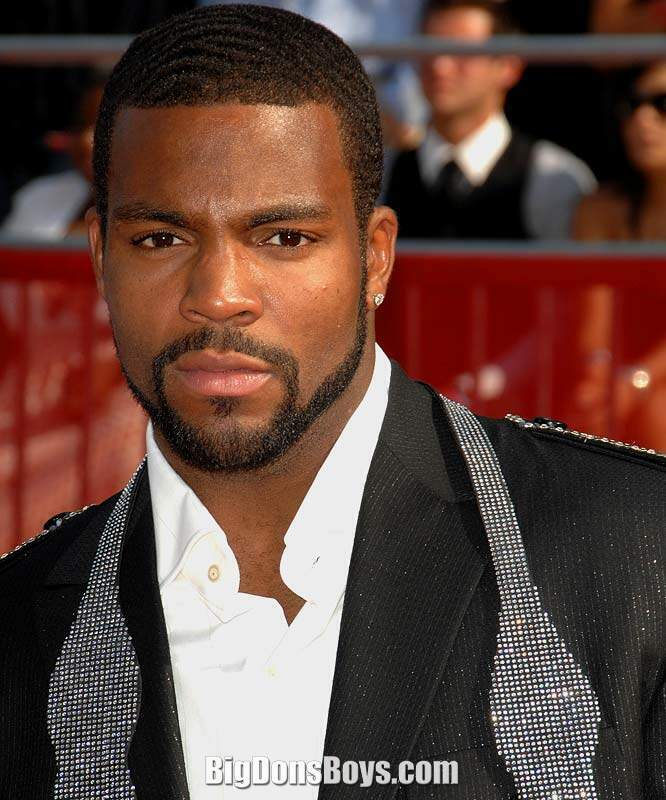 He was selected by the Cleveland Browns with the third overall pick in the 2005 NFL Draft. Edwards was born in Detroit, Michigan. During his three active high school years at Bishop Gallagher High School, Edwards played a variety of positions for his high school football team, and made 63 receptions for 740 yards and eight touchdowns. Edwards attended the University of Michigan, following in his father Stan Edwards's footsteps, where he played for coach Lloyd Carr's Michigan Wolverines football team from 2001 to 2004. During his senior season in 2004, he set Michigan season records for receptions (97) and receiving yards (1,330), and career records with 252 receptions, 3,541 yards, and 39 touchdowns, a Big Ten record. Edwards also set the Michigan career record for the most games with 100 or more receiving yards (17). During the 2013 Buffalo Wild Wings Bowl, Jeremy Gallon eclipsed Edwards' school single-season receiving yardage record with a total of 1373. 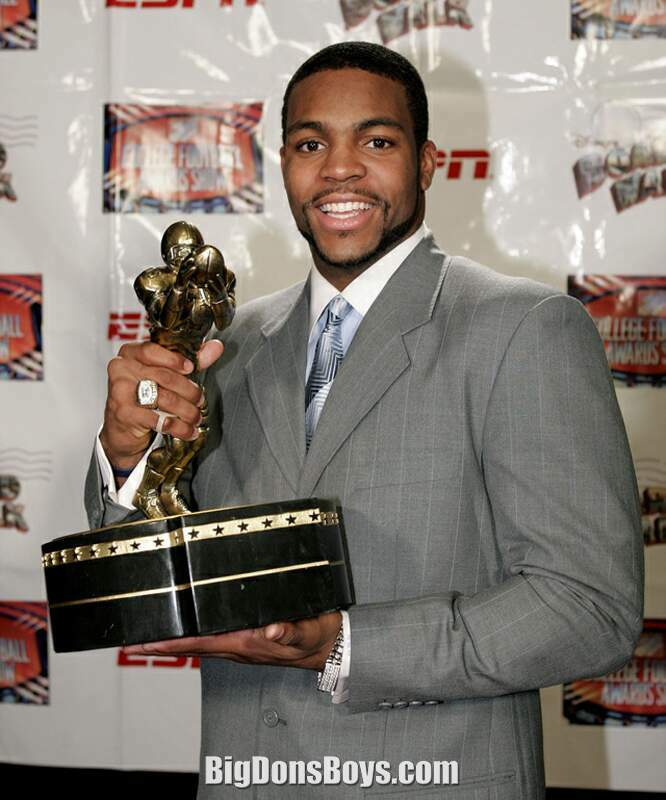 Edwards at 2005 Rose Bowl Following his senior season, he won the Fred Biletnikoff Award given to the nation's top wide receiver, was awarded the Chicago Tribune Silver Football as the Big Ten Conference's most valuable player, and was recognized as a unanimous first-team All-American. Edwards is the only wide receiver in Big Ten history and the third in NCAA Division I-A annals to gain 1,000 or more receiving yards in three consecutive years. Edwards concluded his college career by recording three touchdown catches in the 2005 Rose Bowl against the Texas Longhorns, tying the Rose Bowl record. Edwards also fell just short of eclipsing Jack Clancy's 10-game single-season records of 76 receptions and 1,077 yards by recording 76 and 1,049 in his first 10 in 2004. Edwards has often been in trouble with the law as he has been pulled over seven times from 2002 to 2010 for speeding violations, the most recent of which was in October 2008 when he was pulled over for driving 120 mph in a 65 mph zone. Two days before being traded to the New York Jets, on October 5, 2009, Edwards reportedly punched Edward Givens, a local party promoter, in the face at 2:30 A.M. outside of the View Ultralounge & Nightclub. Givens, who is an acquaintance of LeBron James, alleged that Edwards was jealous of James' success thus prompting Edwards' attack. This prompted James to call the incident "childish." 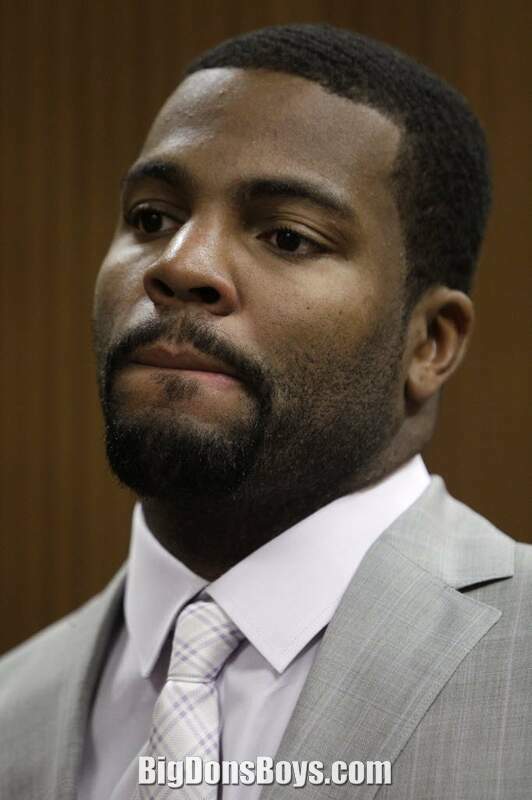 On October 26, 2009, Edwards was charged with misdemeanor assault and later plead no contest to the charge of aggravated assault on January 12, 2010. Edwards was given a suspended 180-day jail sentence, was fined $1,000 and placed on inactive probation. Though Edwards offered no explanation or apology for his actions, he reportedly regretted the entire ordeal according to his lawyer. The NFL did not suspend Edwards for his actions. On September 21, 2010, Edwards was arrested on a drunken driving charge in New York early in the morning. He was originally pulled over for having excessively tinted windows on his Range Rover. Police smelled alcohol on Edwards who blew 0.16—twice the legal limit. He was arrested on a DWI charge. He is still on probation for the altercation that occurred in October 2009. In October 2013, Braylon was accused of physically assaulting a man who had videoed Edwards fighting in the street earlier in the evening with an unknown man. The photographer said he was approached by Edwards who demanded the video be deleted and when the photographer refused and started to walk away, Braylon grabbed the photographers ankles from behind and lifted them up, causing the photographer's face to strike the pavement and then followed up by slamming him into the side of a car on the street. 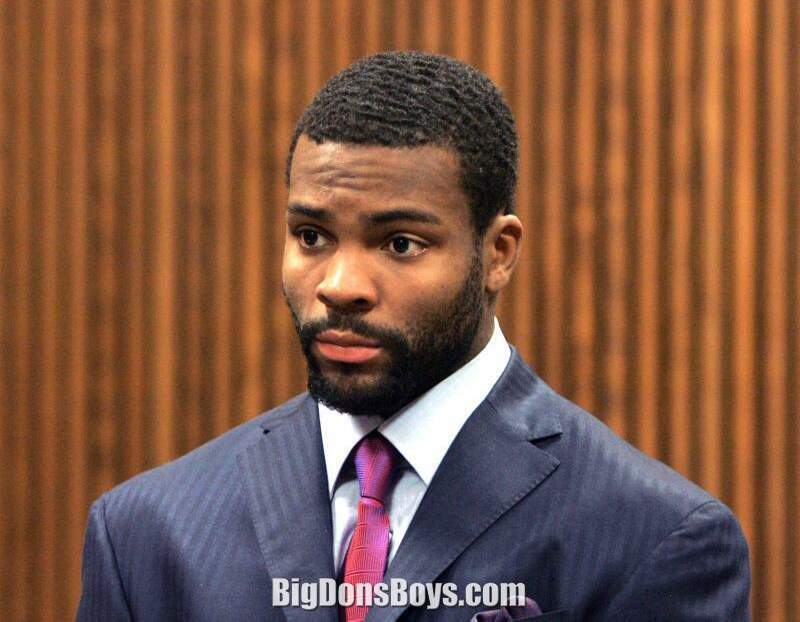 When approached by the media Braylon Edwards' representatives denied the incident, claiming the story was concocted in a shameless attempt to "take Braylon's money." The next day TMZ presented video footage showing the incident taking place as the victim had described. David Daniel Fales (born October 4, 1990) is an American football quarterback for the Chicago Bears of the National Football League. He played college football for the San Jose State Spartans. Fales played high school football at Palma High School in Salinas, California. After redshirting freshman year at the University of Nevada, Reno, Fales attended Monterey Peninsula College for two years and transferred to San Jose State University for his junior year in 2012. Under Fales, San Jose State went 11-2 in 2012 with the school's first-ever BCS ranking, first AP Poll ranking since 1975, and first bowl game berth since 2006. 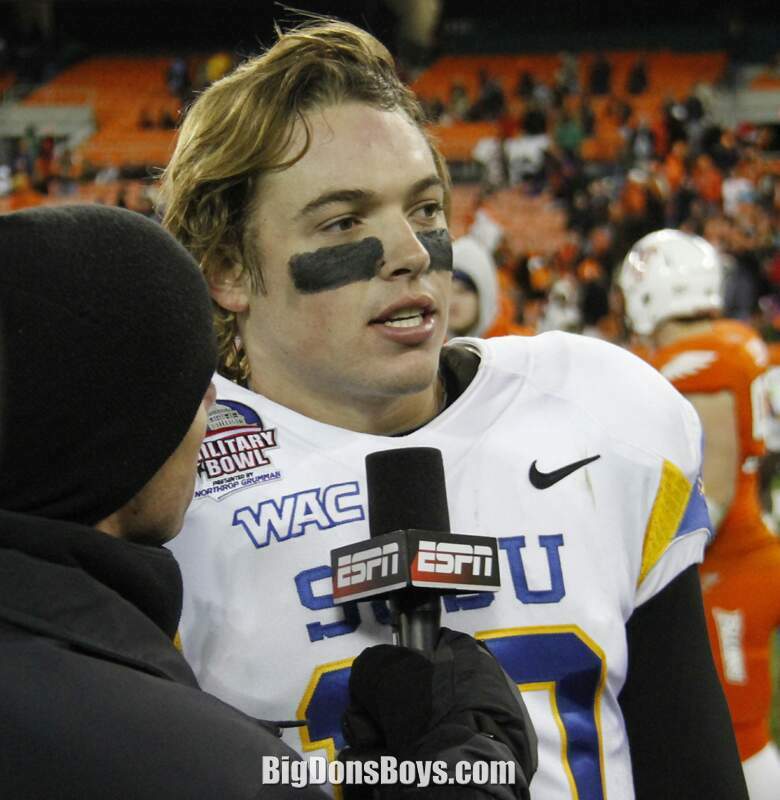 With 31 touchdown passes in his first year with San Jose State, Fales was the most accurate FBS quarterback for the 2012 season and was MVP of the 2012 Military Bowl. 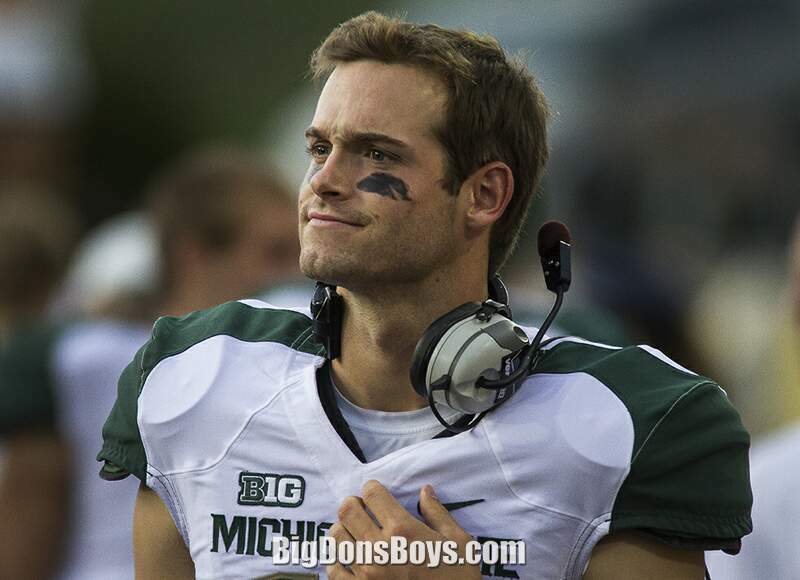 He was drafted by the Chicago Bears in the sixth round (183rd overall) of the 2014 NFL Draft. 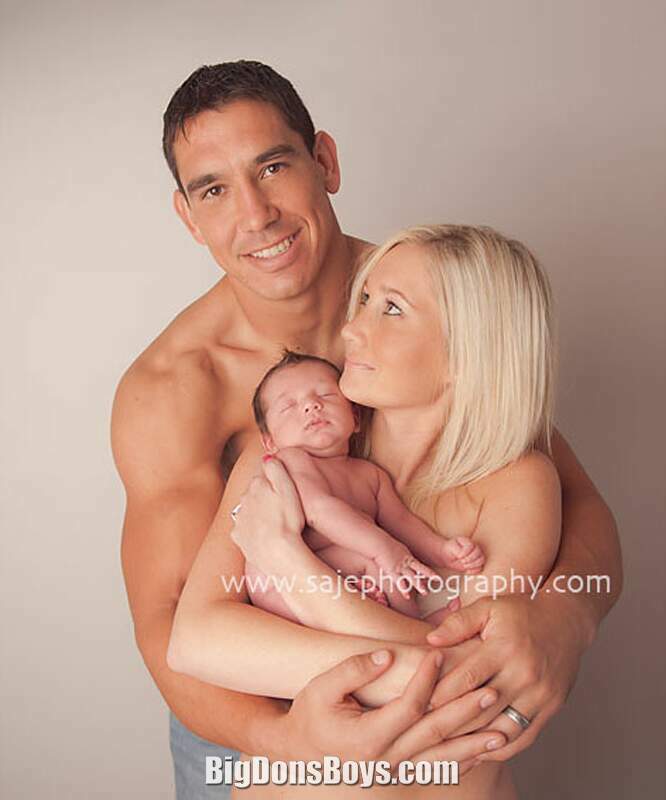 Fales was born and raised in Salinas, California. 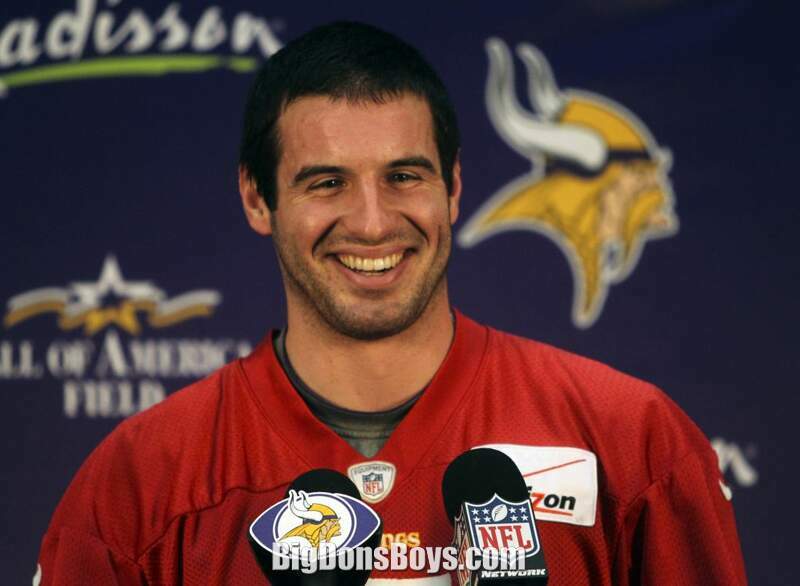 A 2009 graduate of Palma High School in Salinas, Fales was twice selected as all-league as quarterback. Palma named junior Fales the starting quarterback after the fourth game of 2007 after the regular starter suffered a severe concussion. In his first game as starter on October 5, a 35–3 win over rival Salinas, Fales completed 5 of 10 passes for 57 yards, including one 26-yard touchdown pass. Palma also had over 200 rushing yards. With an 8-2 record for the regular 2007 season, Palma lost the first round Central Coast Section playoff game 20–14 to Los Gatos on November 16 after Fales lost a fumble with 1:33 left. As a senior, Fales was Tri-County League offensive MVP. 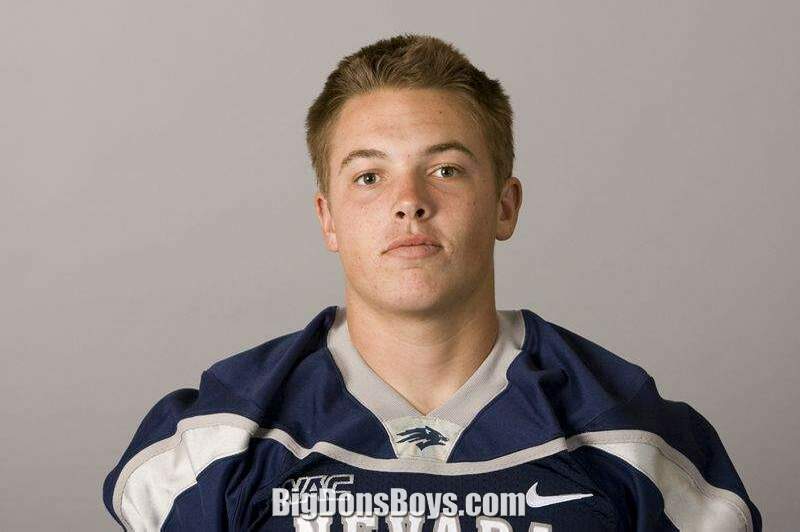 In Palma's homecoming game on October 10, 2008, Fales completed 15 of 19 passes for 164 yards and ran for two touchdowns in a 21–14 victory over Seaside. In his junior and senior years, Fales threw 31 touchdowns and nine interceptions on 220-for-319 passing over 3,267 yards. Having attracted little attention from college recruiters, Fales accepted a scholarship from the University of Nevada, Reno, the first school to offer him one. Other colleges that expressed interest in Fales included Boise State, Colorado, Colorado State, Kansas State, Oregon State, and Utah, but none of them offered scholarships. Scout.com ranked Fales #115 among quarterbacks in the U.S.
Then he blew threw three colleges in a row to get to the NFL and I'm not even going to bother to name them. 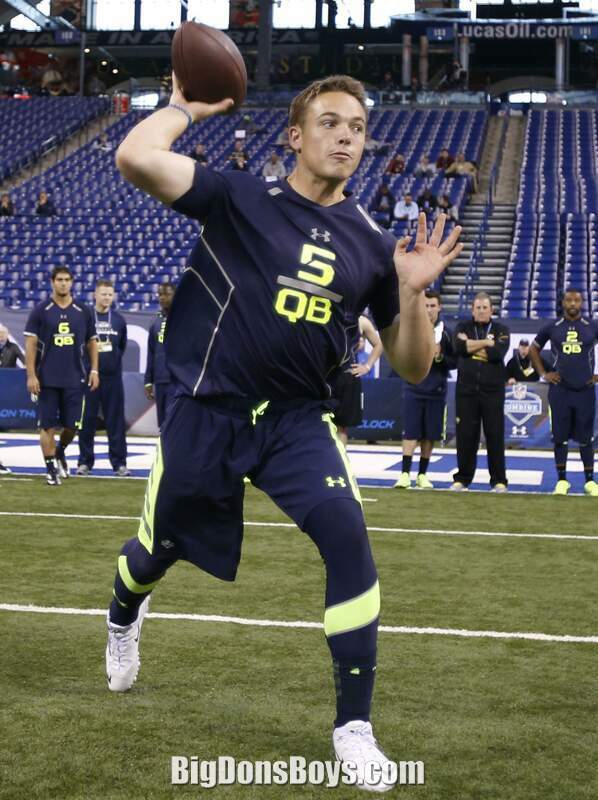 Fales was selected by the Chicago Bears in the 6th round of the 2014 NFL Draft. Fales is the first San Jose State quarterback to be drafted since Mike Perez in 1988, and the fourth in school history since the AFL-NFL merger. 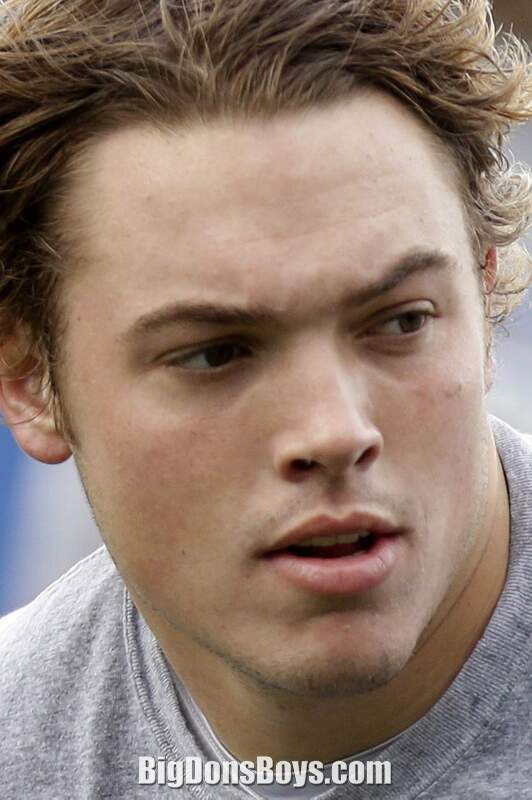 On May 12, 2014, Fales signed a four-year contract with the Bears. Fales ended a 26-year drought for San Jose State quarterbacks being drafting in the NFL when he was selected by the Bears. “It’s an honor,” Fales said. 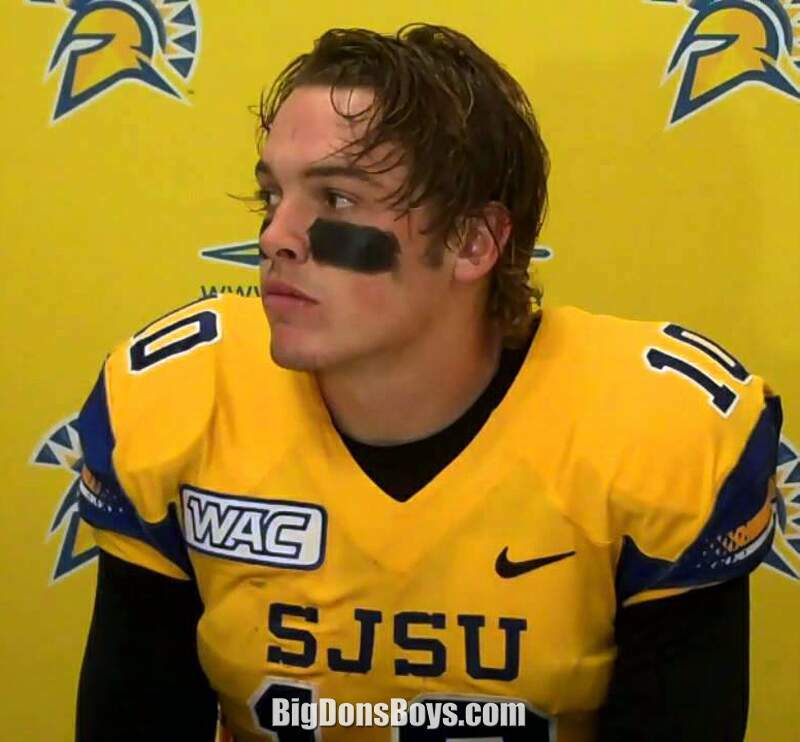 “I’m excited to be representing San Jose State.” Fales is the schools record holder in every significant passing category including career and single season marks in passing-yards and touchdowns. David will be competing in this year’s training camp, to backup Bears starter and often injured Jay Cutler. 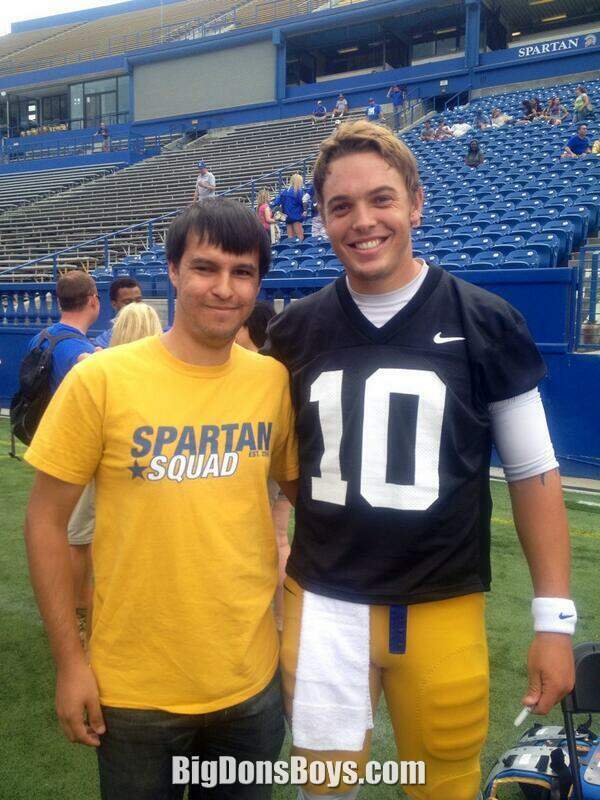 Fales will try to become San Jose States first quarterback since Jeff Garcia to play in the NFL. Fales played sparingly throughout the 2014 preseason, where he saw most of his action in the finale. With Fales still fighting for a spot on the final roster with the other backup quarterbacks, he was given the start and saw significant playing time in the final preseason game of 2014. In that game Fales made a good case for himself to make the team, by finishing the game going 13 of 24 for 146 yards and a touchdown. However, Fales was waived on September 12. After he cleared waivers, he was signed to the Bears' practice squad on September 14. On December 13, 2014, Fales was elevated from the Bears' practice squad to the team's 53-man roster. The move came right after the New England Patriots attempted to sign Fales. James Casey (born 1984) is an American football tight end and fullback for the Philadelphia Eagles of the National Football League. 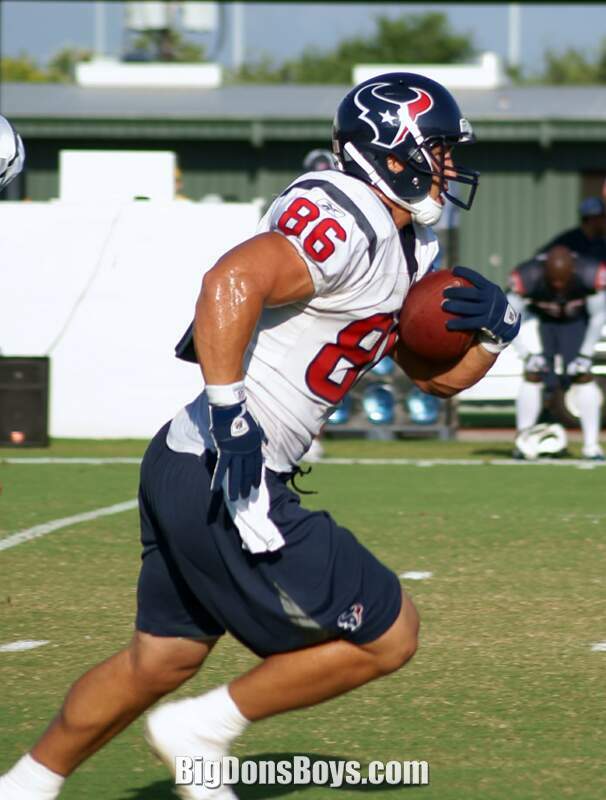 He was drafted by the Houston Texans in the fifth round of the 2009 NFL Draft. 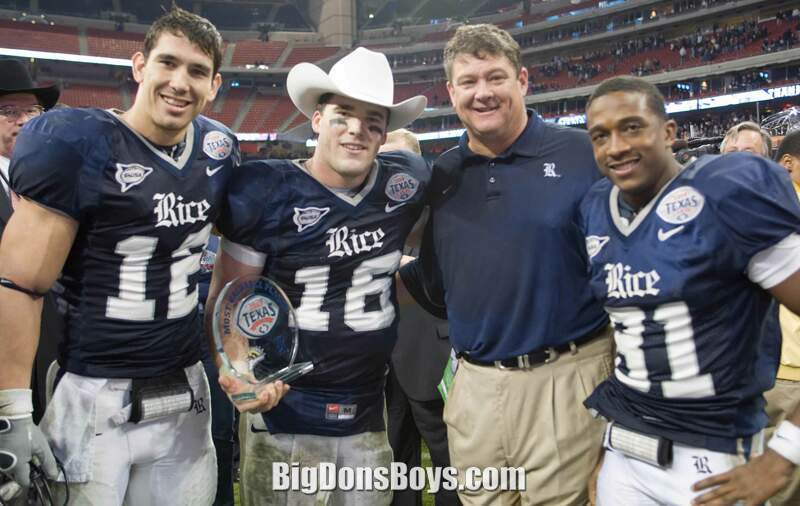 He played college football at Rice University and played baseball and football at Azle High School. Casey also plays baseball. You can see tall baseball players in my OTHER SPORTS galleries. Can you imagine the moment when Casey comes to bat? Wow, somebody should write a poem about it! Casey was drafted by the Chicago White Sox in the seventh round of the 2003 MLB Draft. He played in the White Sox organization for three years before retiring after 2006 to pursue a career in football. 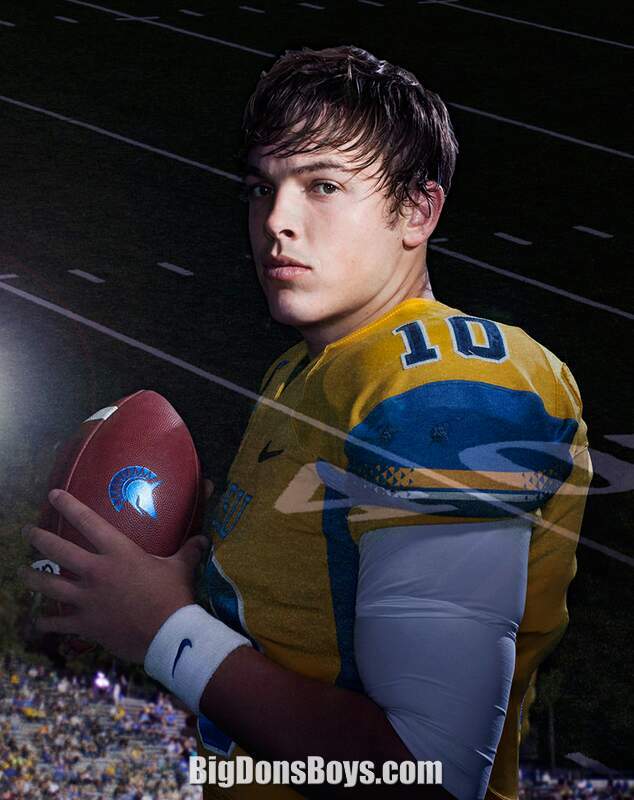 Comcast Sportsnet features baby faced American footballer David Fales with the tag line "he never Fales." Har har. David talks about getting into various schools and the guys on his teams. His history supercharging the San Jose Spartans. At the time this video was made he was considered a potential first round NFL draft pick. Since then he has become the quarterback for the Chicago Bears. 16 year old James Casey went to school one day a regular kid. Then he was called to the office and told his house trailer had burned down and his mother had died. He was now homeless. His father made things worse when he moved the shattered family into a trashy trailer not far from where the fire happened. It is almost a miracle that Case was able to eventually become a success at baseball and football. But time has not made him feel better. But he manages to talk about his life, with difficulty, with ESPN. With two sons now of his own he's no doubt giving better parenting than he got. If you see a pic you think doesn't belong here then href="mailto:[email protected]?subject=Big Don's Boys Pics">email me.